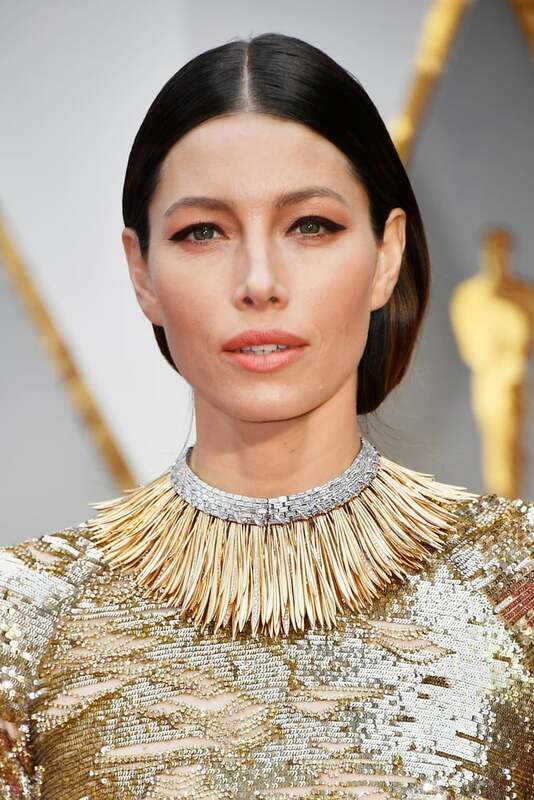 All the stunning beauty looks of award season have led up to the biggest night of the year: the Academy Awards. 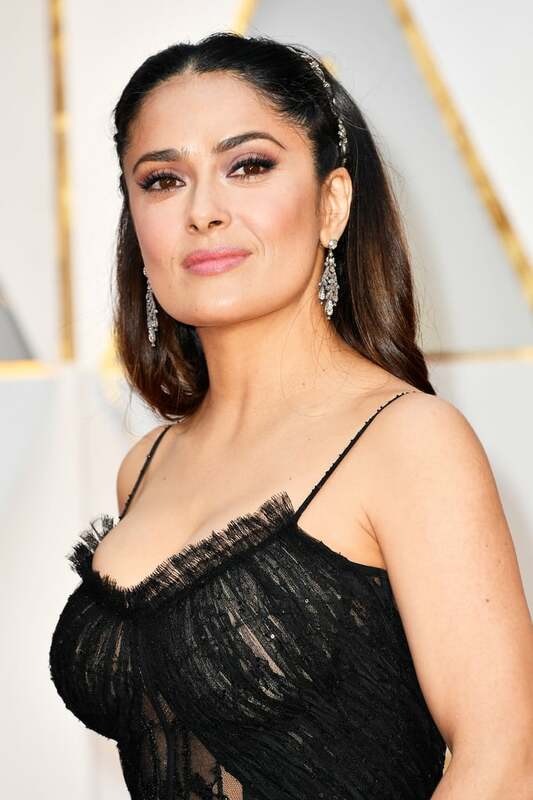 Stars have saved their most jaw-dropping updos, sultriest smoky eyes, and elegant manicures just for this moment. 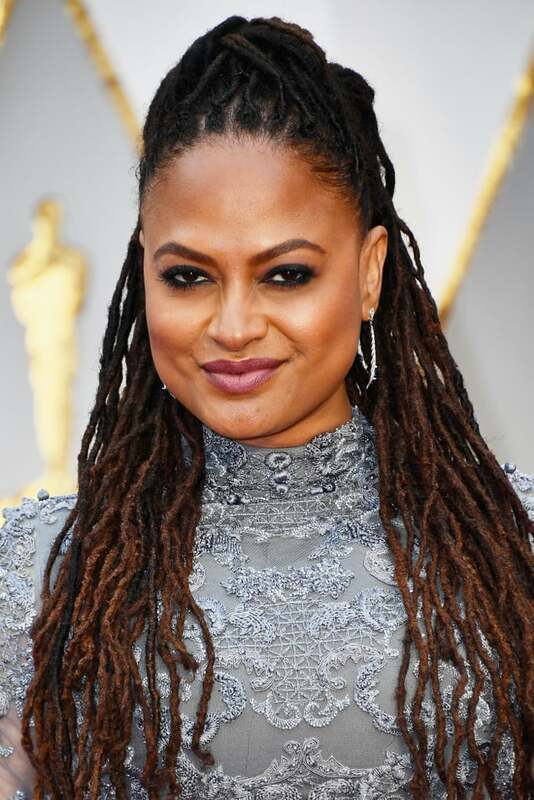 Read on to see all the looks that are worthy of receiving their own awards. Chrissy's glowing bronzed skin beautifully complemented the warm neutral tones of her smoky eye and dewy lip. Her dark navy liner, her shimmering decollété, her perfectly tousled hair — we couldn't decide what aspect of Taraji's look we liked most. The talented performer's skin glowed almost as radiantly as her crystal headband and beaded gown. Emma embodied old Hollywood glam with glossy red ringlets, flawless skin, and a classic crimson pout. Karlie's dewy skin looked even more radiant thanks to her peachy blush. 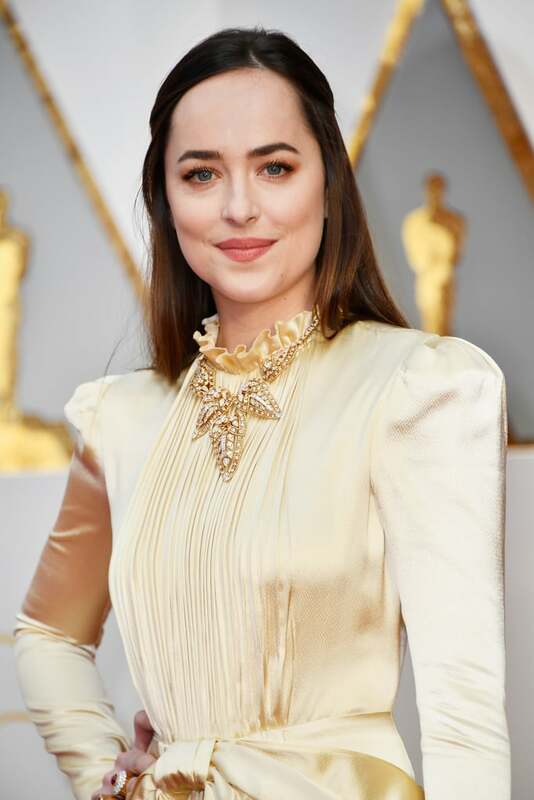 Dakota joked on the red carpet that she wasn't wearing any makeup, but we can see that she's bravely testing out the pink eye shadow trend. 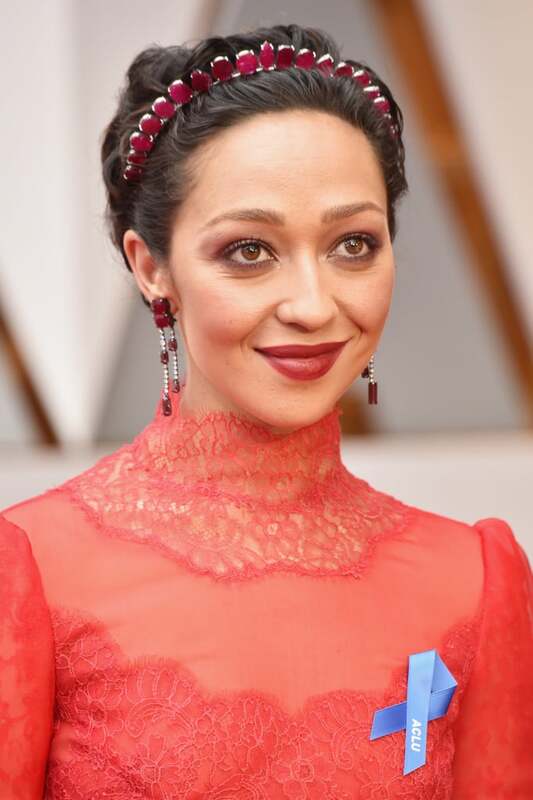 Ruth coordinated her makeup to her ruby tiara with bold red shadow and a creamy crimson lip. Kirsten accented the inner corners of her eyes with a silvery brightening shadow. The star sported an ultralong blunt pony, piece-y bangs, and a stunning "Easter egg" purple eye. Octavia's dramatic eggplant smoky eye was stunning against her complexion. Felicity complemented her porcelain skin with a balmy coral lip. 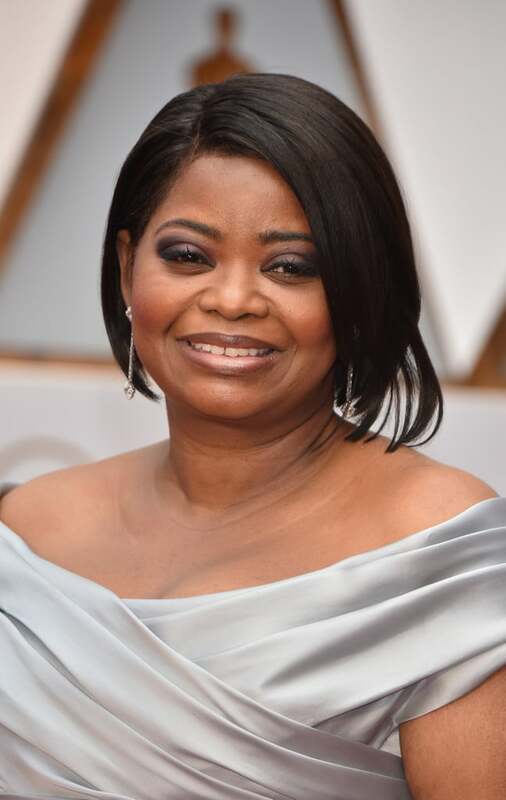 The director accented her gaze with smoldering black liner. Kelly's superlong, fluttery lashes and pale pink pout added a doll-like aspect to her look. Leslie's tousled beach waves were a casual contrast to her dramatic gown. 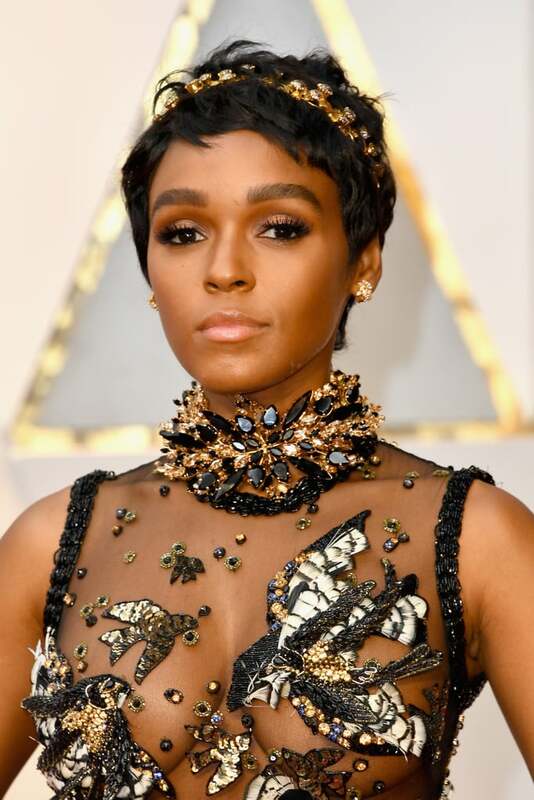 The actress sported a beautiful, intricate updo that was accented by a diamond-encrusted hairpiece. 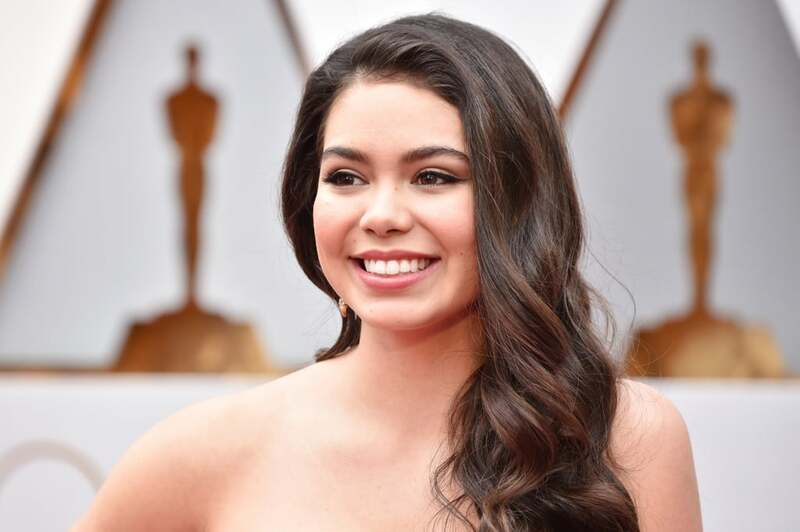 The Moana star opted for classic waves and a crisp cat eye. 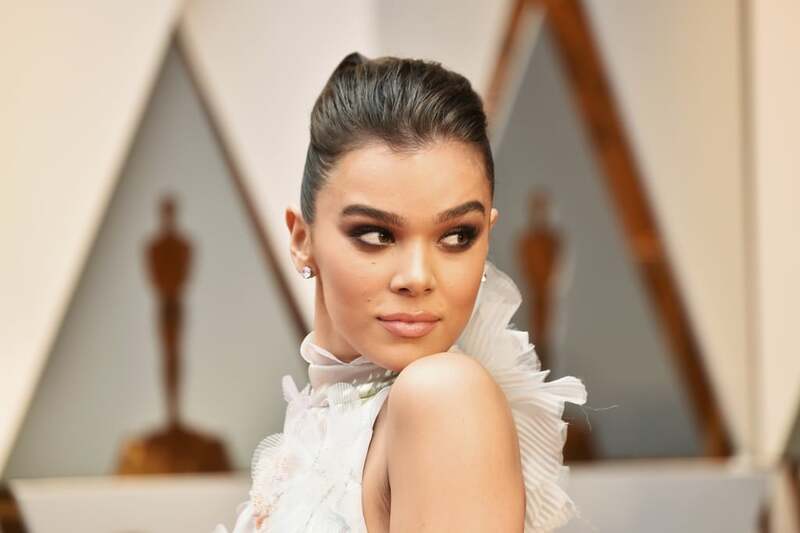 Hailee's bold brows elegantly framed her mauve smoky eye. 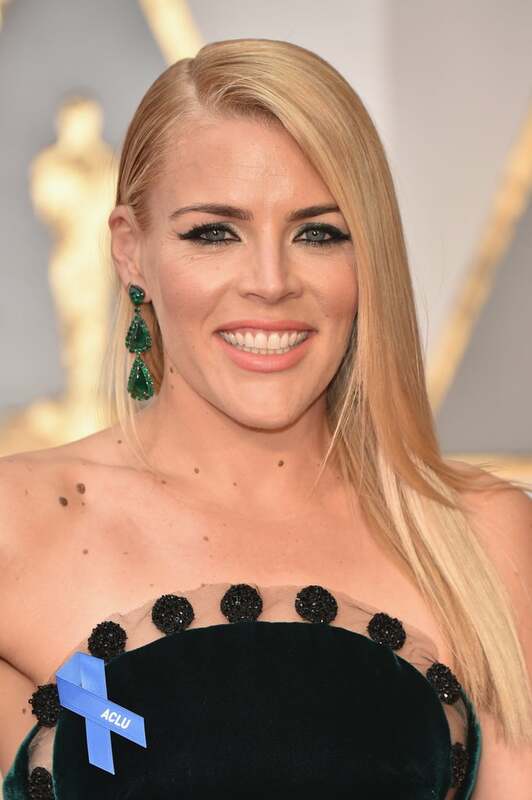 The Saturday Night Live star accented her plunging sequined neckline with mermaid waves. 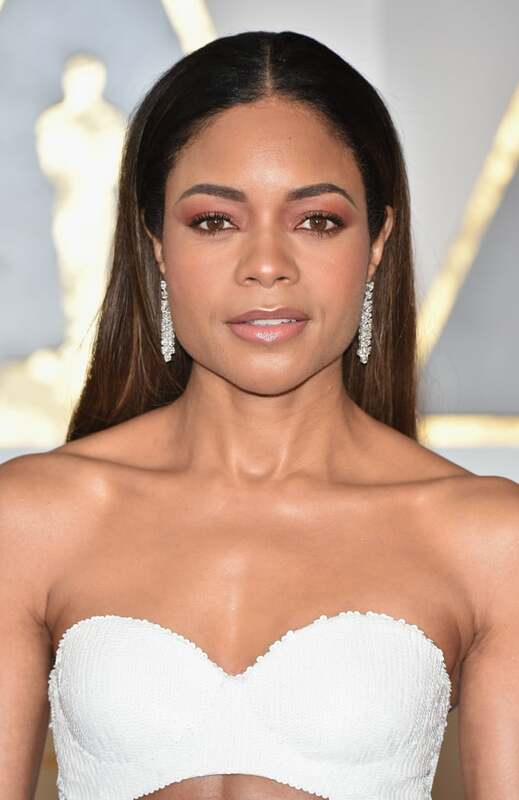 Look closely: Naomie is wearing not just red shadow, but burgundy liner for a smoldering stare. Brie's wet-look hair and neon lip harkened back to the '80s. Priyanka's unexpected gray liner added an ethereal vibe to her look. 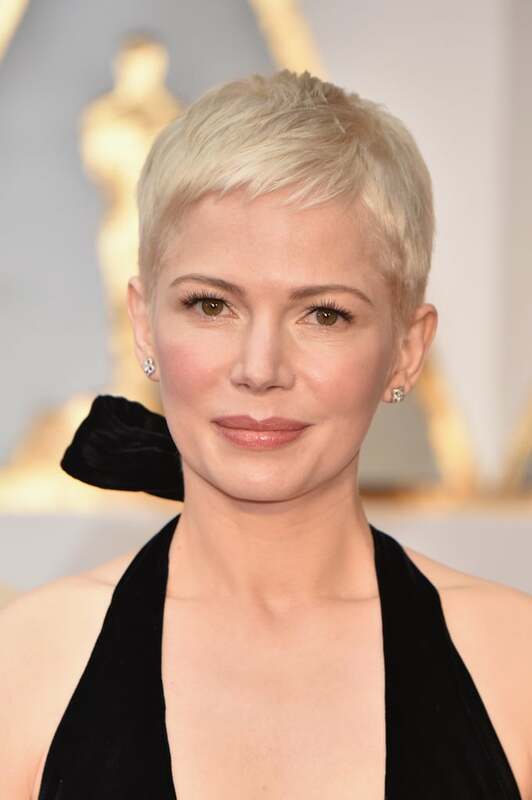 Charlize accented her flawless skin with a very light application of highlighter. 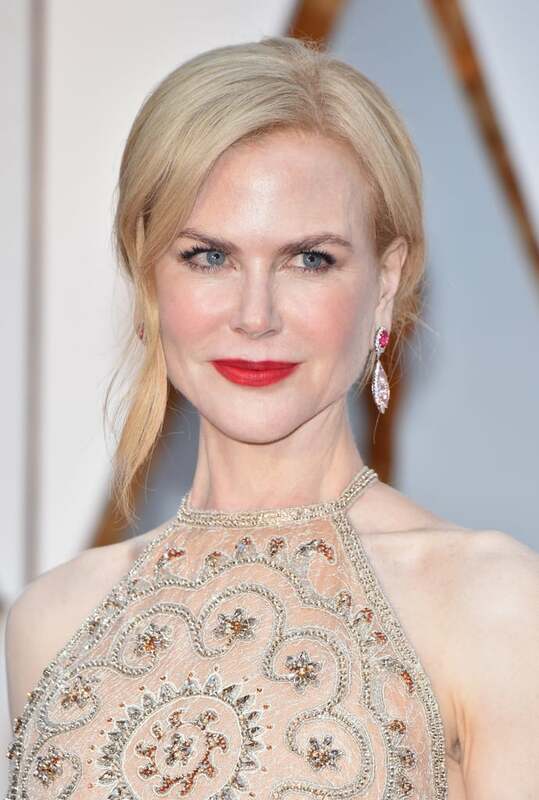 We were positively captivated by Nicole's tomato-red lip. Thanks to her fluttery lashes and cropped coif, Michelle looked like a blond Audrey Hepburn.